I’m so glad October 1st which is Independence Day in Nigeria fell on a Saturday because I’m really enjoying the long weekend. 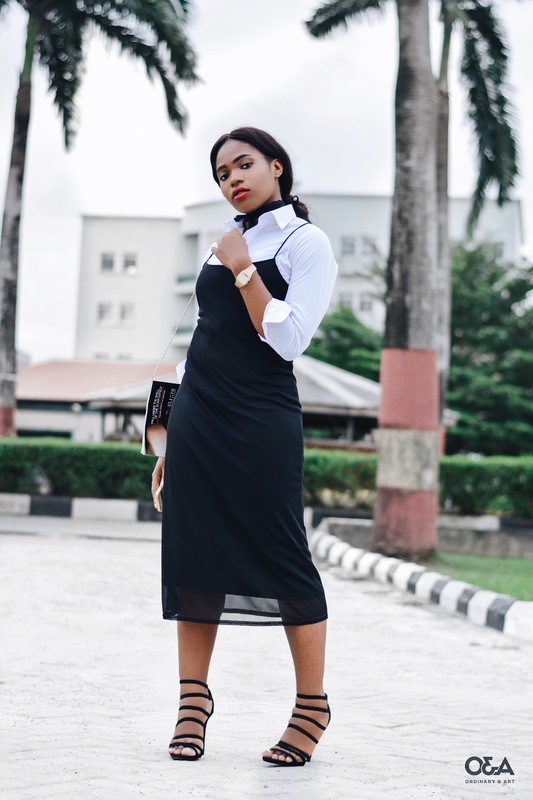 If you’re like me and have been living in your lazy clothes all weekend and you’re sad the holiday is about to end as you’d have to retire from wearing that slip dress, don’t be darling because I’ve got you covered as in today’s post I’d be showing you how to style your slip dress in a way that it would be appropriate for any occasion especially the work place. This look is totally in vogue as I’ve seen a lot of it being featured a whole lot on the street style section of fashion weeks across the diaspora. 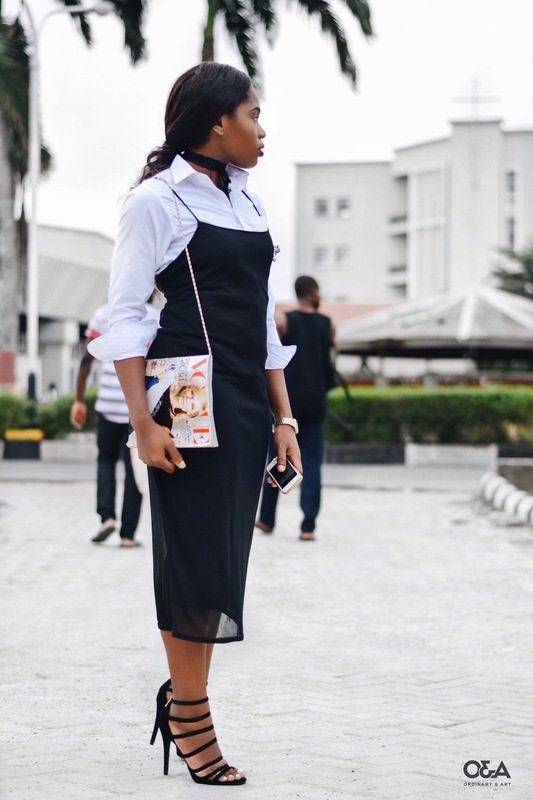 I really love this way of styling dresses with cami straps as it allows you maximize the full potential of the dress and you don’t have to wear them only on the weekends anymore. 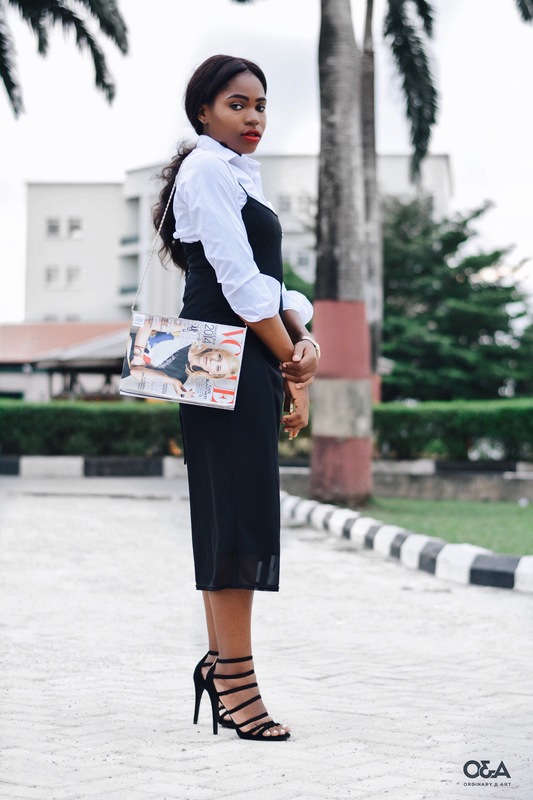 With this look I’m sure you’re being reminded yet again of the need to have a nice well fitting white shirt in your wardrobe, if you don’t own one at the moment I advice you add it to your shopping list as the styling options are endless. 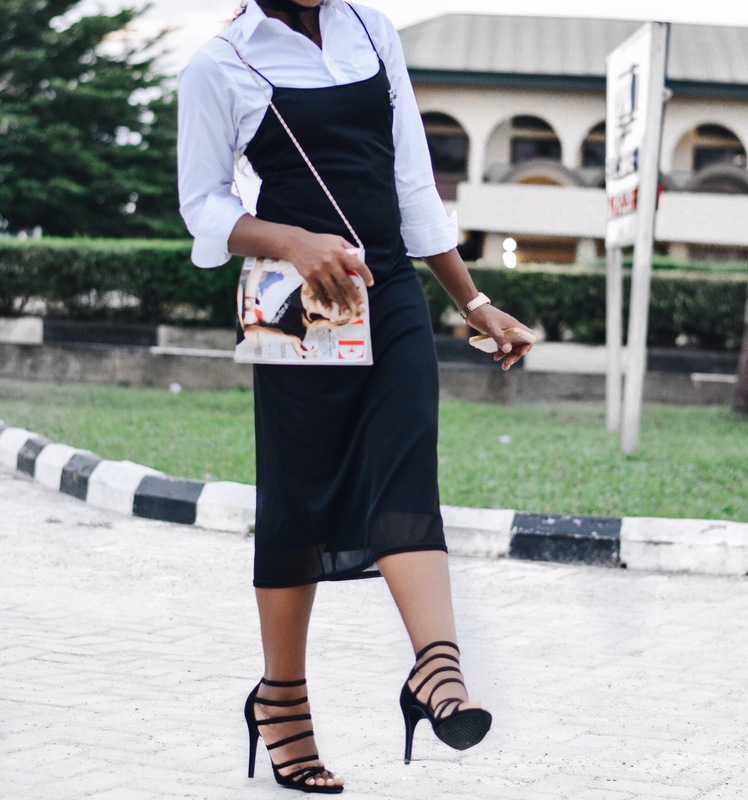 I’ve got a ‘Too Slip For School’ look coming to the blog so be sure to visit again soon. Have an amazing new month. 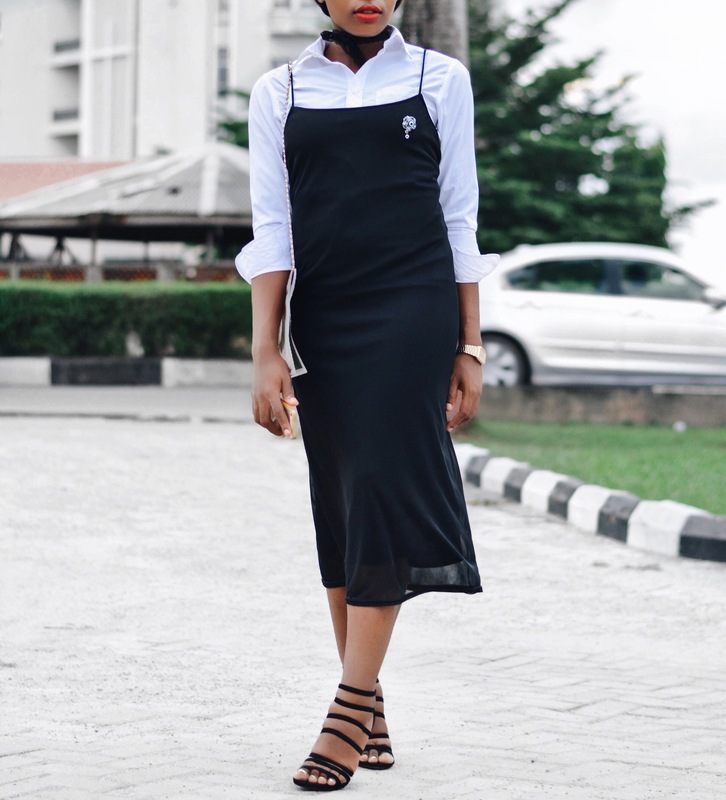 Do you own a slip dress? What’s your favorite way to style it? 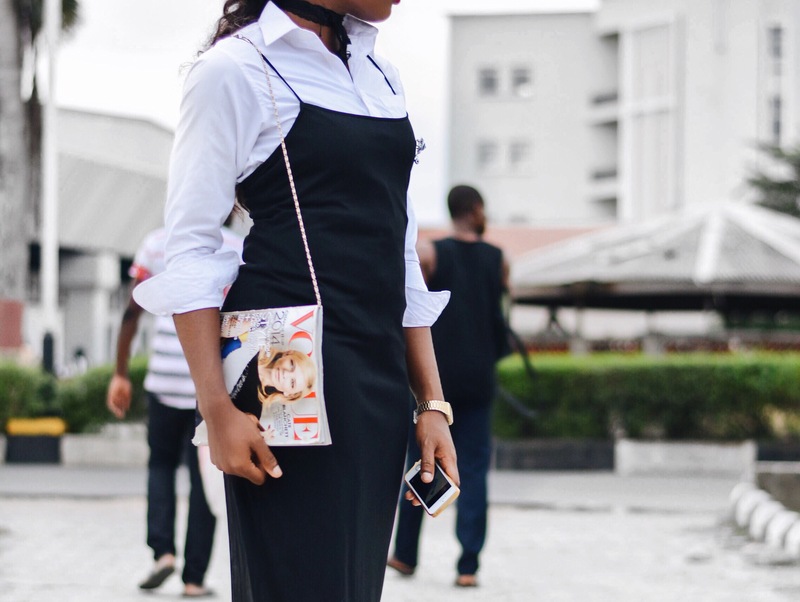 Where aside from work will you rock this look to? Do let me know by leaving a comment below, thanks. I was thinking about how O don’t have a white shirt yesterday! There was a time in my life when I had so many. Love this post! Love the outfit! Well done Ifeoma. 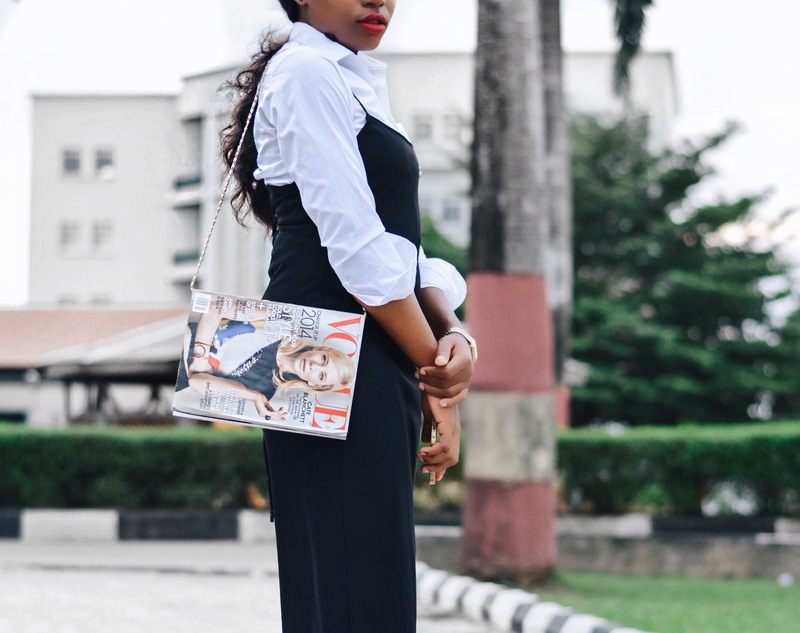 Slip dress ,Vogue bag ❤❤ . White shirts = Essentials =Must haves .. Your pictures are always awesome . 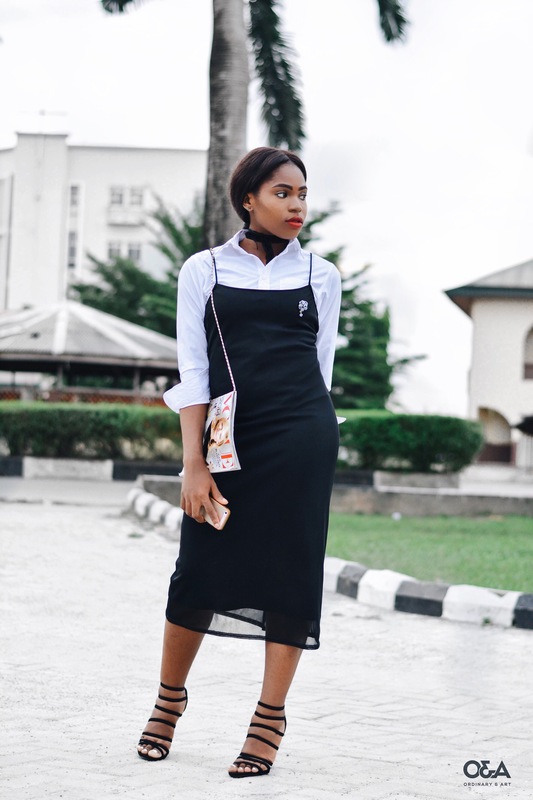 The slip dress is definitely an essential. I wore mine alone but with a sneakers instead. Girrlll this bag and shoe are giving me life! The first thing that caught my eye attention was your bag. GURL, your creativity is on a whole new level. I love the outfit and your pics are super neat. Yooooo ! You’re giving me some fashion week outfit inspo, go girl ! The Vogue magazine as a bag is genious! I’m glad you stumbled upon it dear, thanks a lot for the kind words. Thank you dear off to return the favor. Love this outfit! I never wore a slip dress before, but it looks great!